Melodic yet tense, tuneful yet abrasive, Paul Newman was a post-rock mainstay on Austin's Trance Syndicate Records throughout the 1990's. 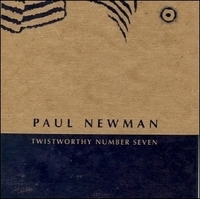 The 2nd Paul Newman release on Twistworthy, this CDep was released between the release of their second and third LP's. Packaged in a stunning letterpressed sleeve by Jennifer Farrell of Chicago, IL.